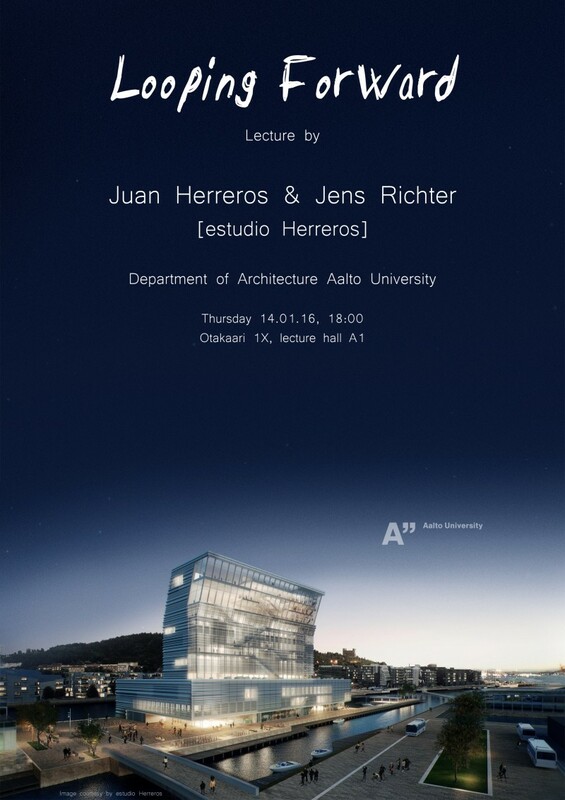 Next Thursday January 14th at 18:00, Juan Herreros & Jens Richter [estudio Herreros] will be lecturing with the title “Looping Forward” at the Department of Architecture, Aalto University. Juan Herreros and Jens Richter are organizing the studio course “Typological Hybridizations” during the Spring semester 2016 in collaboration with Group X. The lecture will be in the premises of the old Department of Architecture at Otakaari 1X, lecture hall A1.